Leverage the power of Facebook. 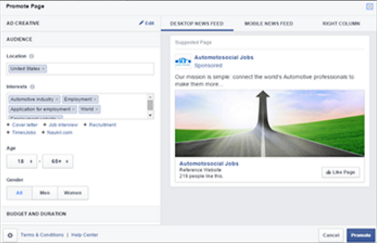 Add a careers tab to your company Facebook page. Fans can search and apply for jobs. Market your job postings like a targeted Facebook ad campaign.